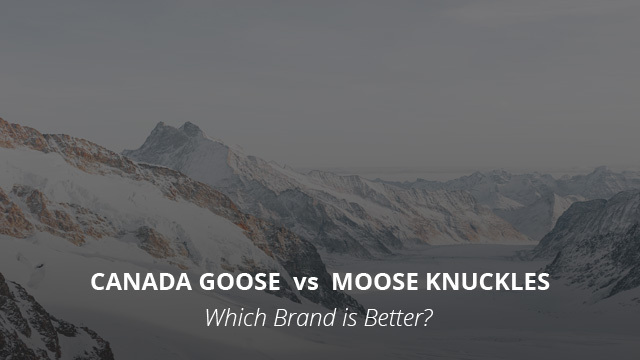 Canada Goose vs Moose Knuckles – Which Brand is Better? On to another brand comparison, today we will be looking at a new brand on our site, and see how it compares to Canada Goose, which has become one of the most commonly compared brands here. Since we are dealing with frigid winter temperatures this year, we thought it would be reasonable to continue the search for the best “winter brand”. Because Canada Goose has the reputation of being one of the go-to brands when it comes to jackets that provide impeccable insulation and warmth, we continue using it as the staple brand for comparisons. Now, on to the brand that we will be putting against Canada Goose, the time has come for Moose Knuckles to come into the spotlight. 3. Which Brand is Better? If you have gone through any other of our Canada Goose comparison reviews, by now you have a pretty good idea as to what the brand stands for and its history. For those of you who just came across this piece, here is a quick rundown of how Canada Goose came to be. Established in 1957 in Toronto, Canada, the brand was originally known as Metro Sportswear Ltd, and it wasn’t until its expansion into the European market that it got the Canada Goose name. Its name is in relation to the insulation used in their down products, which is sourced from geese. We will discuss the qualities of goose down in the next section. While now Canada Goose is a manufacturer and retailer of numerous products, in the beginning it started out with raincoats and woolen vests. Although their product range is popular among many, it’s their down jackets that have made Canada Goose the beloved brand that it is. 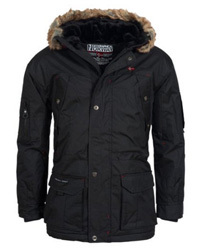 Canada Goose is a Canadian brand, as we mentioned above (and as the name points out), and so are its products. What we mean by that is that they are made in Canada, under a strict manufacturing process and a 13-step quality-control process, that results in a well-made and high quality product, which will perform flawlessly under harsh conditions. The products used on their jackets, which is what we are mainly focused on here, are Polyester and Nylon for the shell and lining. These are of the highest quality and often part of the brand’s fabric technologies, Dura-Force and Feather-Light US, which they use to increase weather-resistance and the durability of the products. For this same purpose, DWR treatments are also included, which further protect the jackets from rain and snow, thus decreasing the risk of the down wetting out. Speaking of which, the down used in Canada Goose jackets is responsibly sourced from mature geese, which are a byproduct of the meat industry and meet the RDS standard. The RDS standard guarantees that the birds were humanely treated throughout their lives, making for a more ethical sourcing process. Goose down, as one of the two down types most commonly used, is the highest quality available in general. It provides great loft and less is required to fully insulate. Another material often found in their jackets is Coyote fur trim, which, despite controversies, is sourced from coyote populations in areas where they are considered pests and is a result of the population control efforts in those areas. 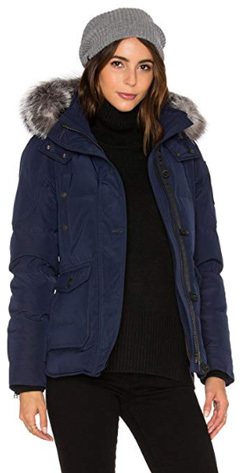 The popular design we have picked for this comparison is the Montebello parka (check it out on Amazon), a women’s design made of 85% Arctic Tech Polyester and 15% Cotton, with an insulation of 625 fill-power white duck down. It comes with a coyote fur trim around the hood, which is removable. 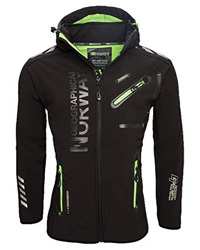 The hood is oversized and over-extended, providing much better protection against blizzards and cold winds. There are several outer and inner pockets on this design, making it practical for daily wear. The fit is comfortable and the length ends at the hips, providing adequate cover. While Canada Goose’s jackets are some of the best in the market, be it in their performance or longevity, their prices are far from affordable. With options starting at $500 and going up three times of that, these are luxury jackets that require some serious consideration. Are these jackets worth the price? Are they worth the price when considering the quality? Absolutely! 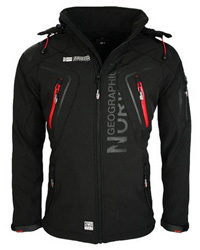 They are some of the most durable jackets available, said to last for decades, and their insulation is like no other. However, if you don’t live in areas where a down-insulated jacket is needed, then you are better off looking for a more affordable option. Related: Why is Canada Goose so Expensive? While we haven’t come across many brands that are older than Canada Goose in these comparisons, Moose Knuckles’s history dates back 36 years prior to Canada Goose. Also a Canadian brand, it was officially established in 2007 as a luxury sportswear brand. The brand specializes in parkas and winter jackets, making not only high quality designs, but also stylish ones. In their product range you can find a variety of jackets and coats, from light to weatherproof ones, as well as accessories, knitwear and shirting products. Its products are also designed and made in Canada, ensuring top-notch quality and manufacturing. Being a luxury brand, Moose Knuckles uses only the highest quality fabrics, mainly consisting of Cotton and Nylon. They are made in a blend of 74% Cotton to 26% Nylon, which ensures that the parkas and jackets will be long lasting and arm. Their winter parkas have a temperature rating of nearly -40 degrees, and come with heavy duty zippers that withstand wear. To withstand weather, water-repellent coatings are used, in order to ensure that the jacket remains dry for longer periods of time, as well as preventing the down insulation from getting wet. This is very important, because down is notorious for losing all of its insulating abilities when wet. The insulation used is mainly Grey Duck Down, with a fill power that ranges from 650 to 800, which is one of the highest available. It provides great insulation and loft. On to its furs, the trims are made of real fur, ethically sourced from Scandinavian and Canadian furriers, from Silver foxes and Arctic Blue foxes. The furs’ colors are left untouched, providing a unique look for each different jacket. The design of choice by Moose Knuckles is the Quebec jacket for women (check it out on Amazon). A stylish and slim fit design, this jacket is made of 100% Down-proof nylon, which prevents down from shedding and it is also treated with DWR products to repel water. The insulation is a blend of 90% Goose down to 10% feathers, with a fill power of 700. It comes with Silver fox fur trim, which is removable, and an adjustable hood. There are oversized pockets on the outside and its length ends at the hips. Since Moose Knuckles is a luxury brand, its prices are a testimonial of that, with the average jacket priced around $450. Much like Canada Goose, this brand’s jackets go upwards of $1000. Moose Knuckles jackets were recently rated as the Top Brand by the IER when it came to insulation, meaning that its winter parkas are arguably the warmest available. 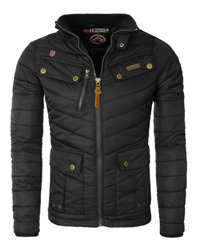 These jackets are very well-made and lasting, making the answer to this question obvious. The prices are nearly identical, both brands are considered to be two of the best when it comes to winter wear and they both manufacture their products in Canada, using down and natural fur as part of their designs. They are very similar, if we are being honest. Moose Knuckles provides beautiful and stylish designs, which perform flawlessly and more than justify their price tag. On the other hand, Canada Goose jackets are not solely a great option for those living in very cold areas, but they are a fashion statement, too. While the designs are more limited in their stylish factor, their performance is impeccable and the quality very hard to match. Therefore, it is up to what you are looking for. Moose Knuckles provides a wider variety of designs and colors, whereas Canada Goose provides years of tried and tested performance.